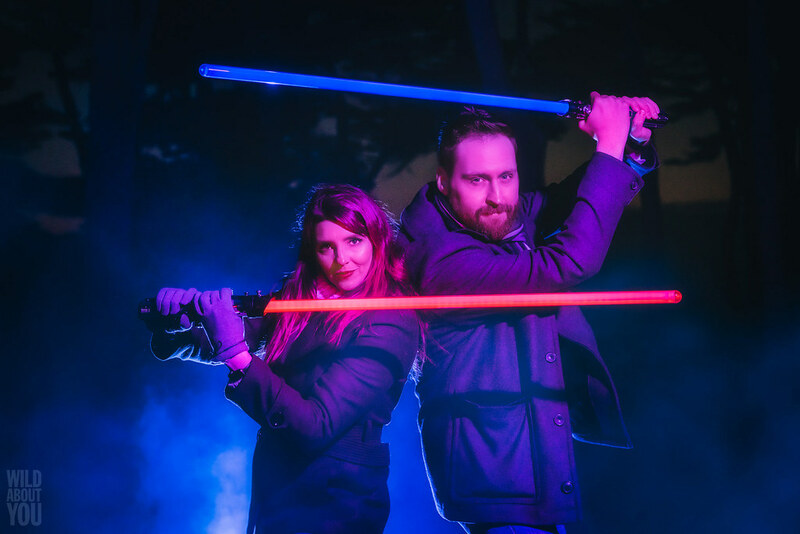 Jenny and Adam are cuckoo for Star Wars (they even named their fluffy Pomeranian Endor!) 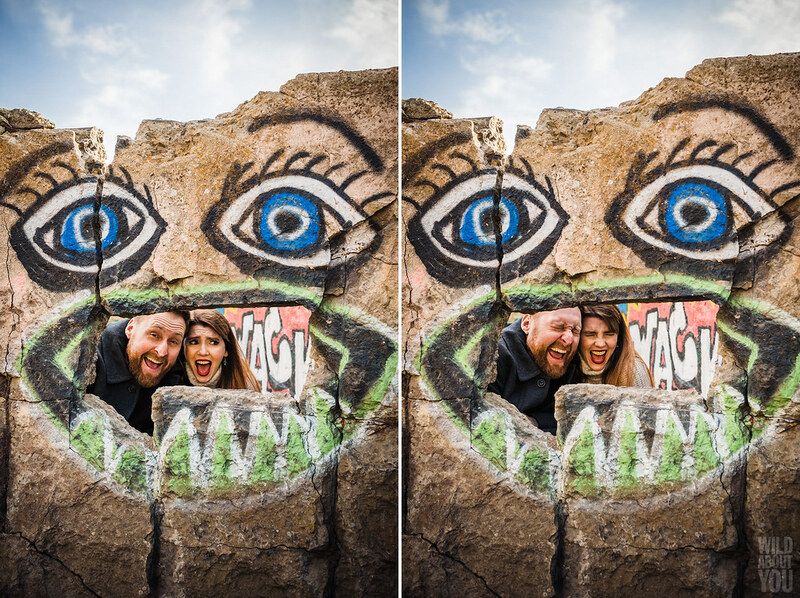 and will be having a Halloween-themed wedding later this year. 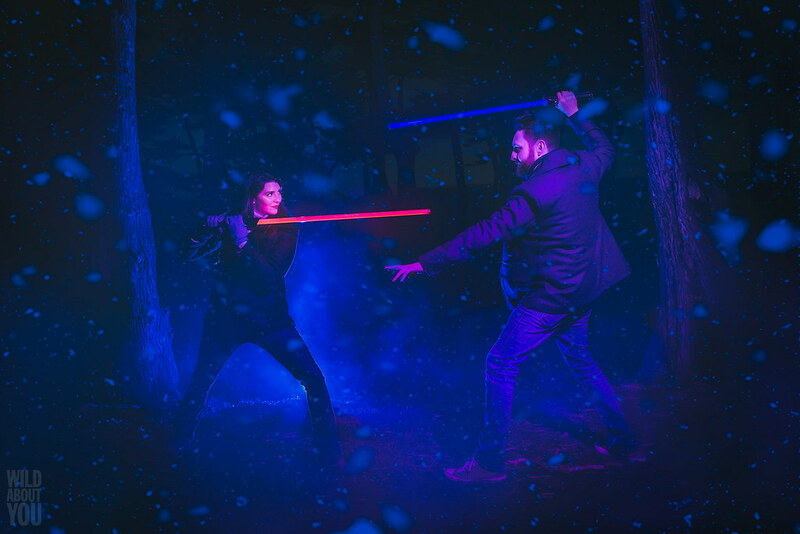 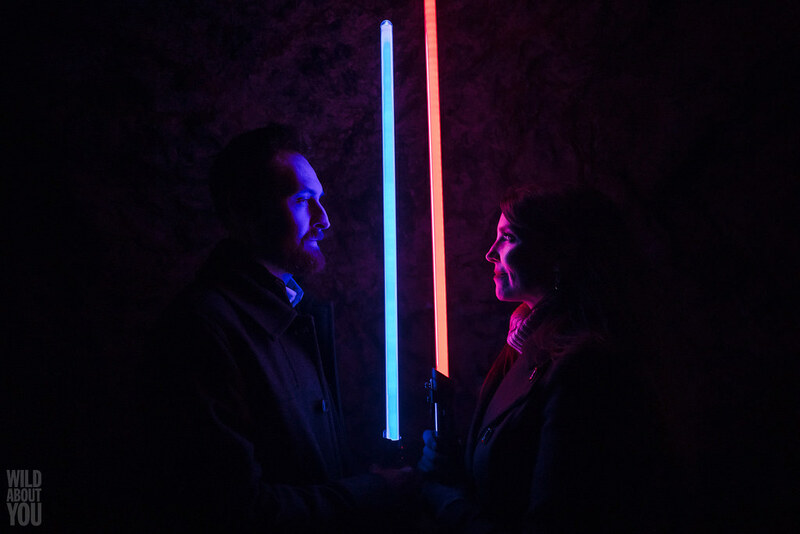 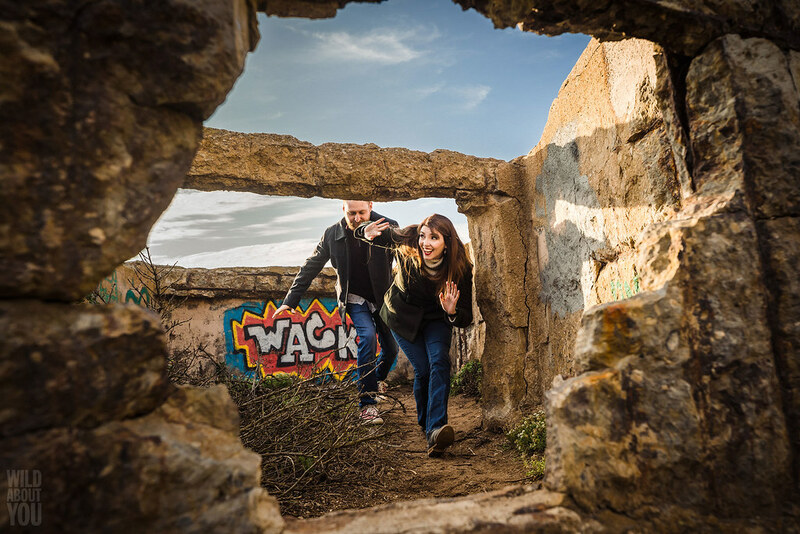 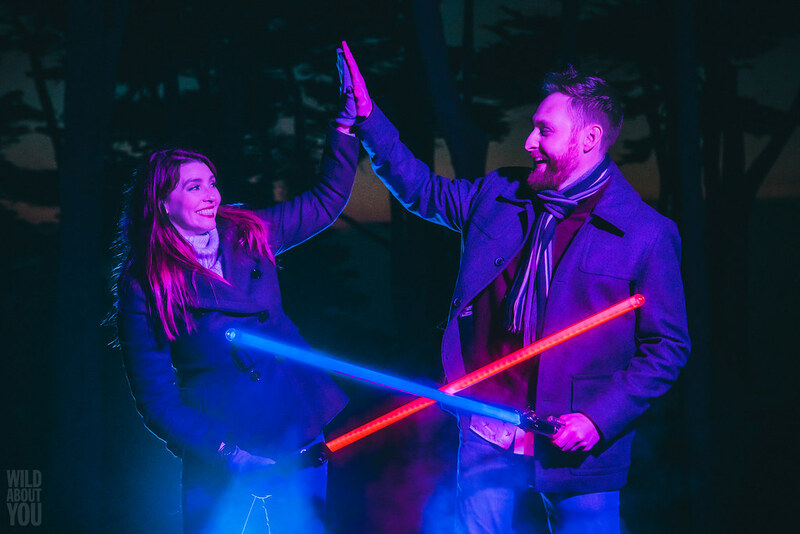 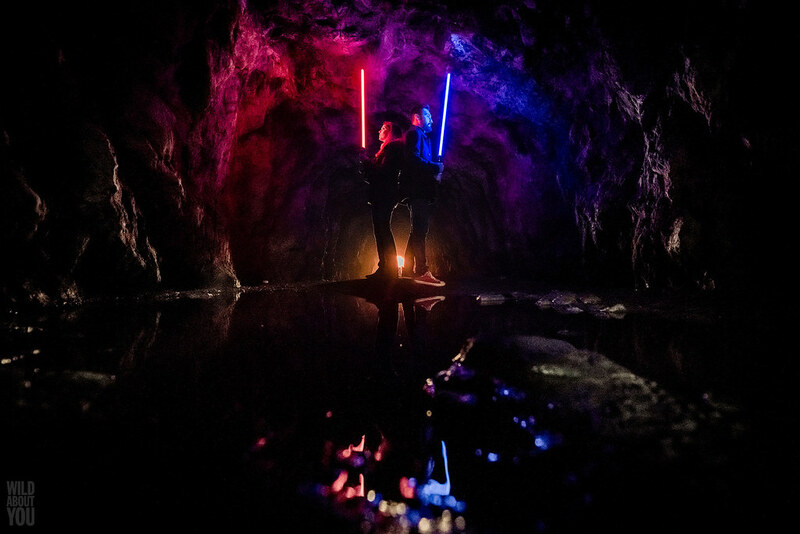 When they showed up at the Sutro Baths armed with both light sabers and Masters of the Universe swords for their engagement session, we knew we were in for a treat! 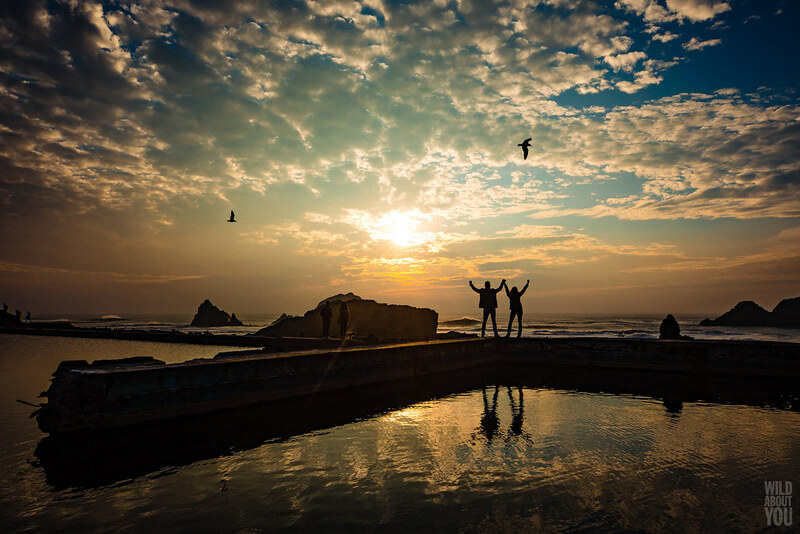 The Sutro Baths are located on the western edge of San Francisco. 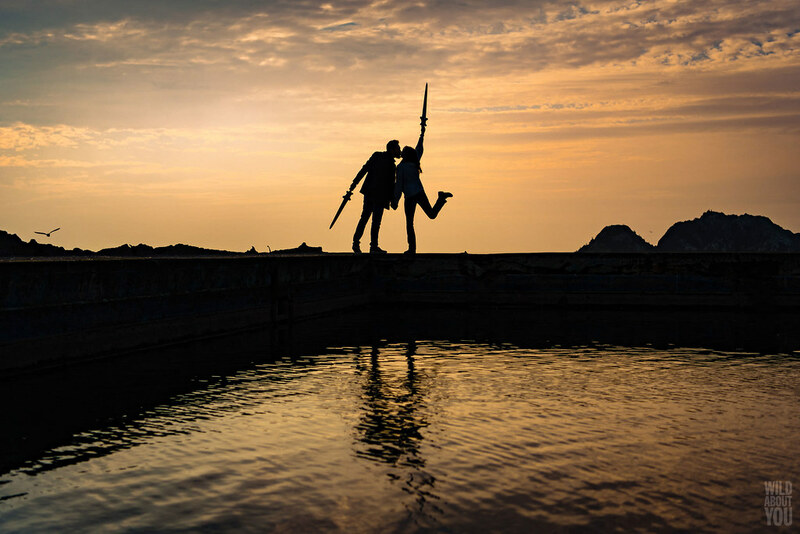 When it opened in 1896, it was the world’s largest indoor swimming pool complex. 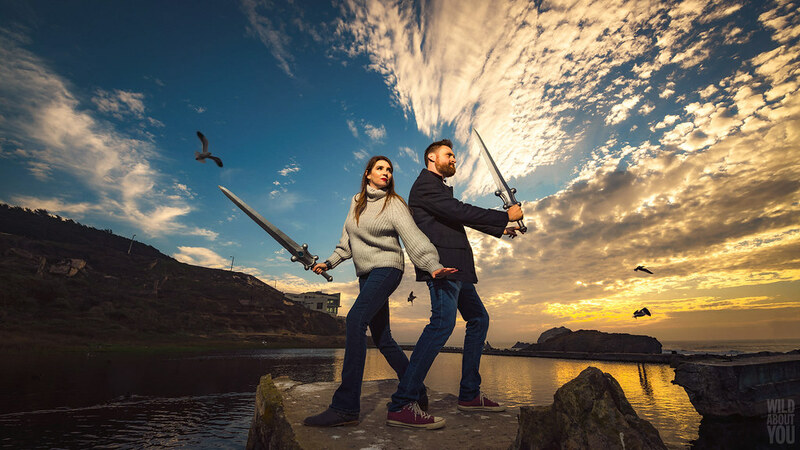 Unfortunately, all that exists now are scattered ruins, but the apocalyptic landscape paired with stunning ocean views was the perfect backdrop for our fun-loving couple’s sword and saber shenanigans. 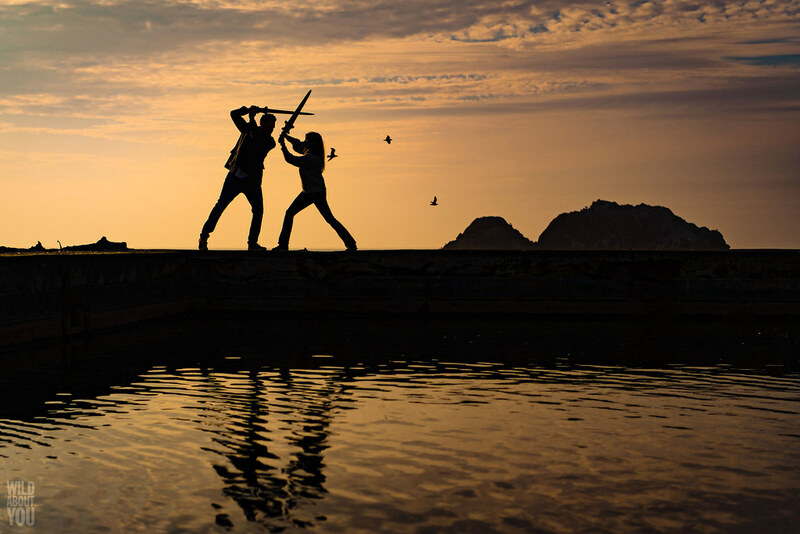 Once the sun set, we hiked up to the cypress tree-studded area overlooking the ruins, which was a great warm-up for their final battle against the dark forces. 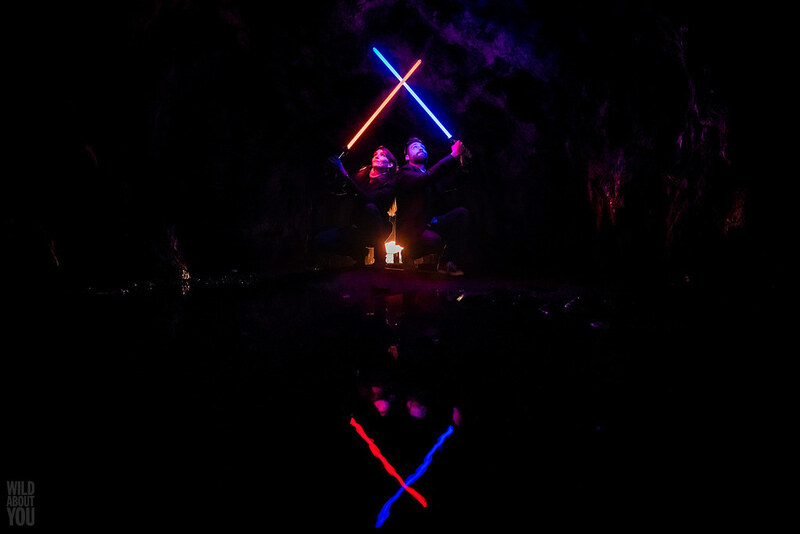 Check out their moves! 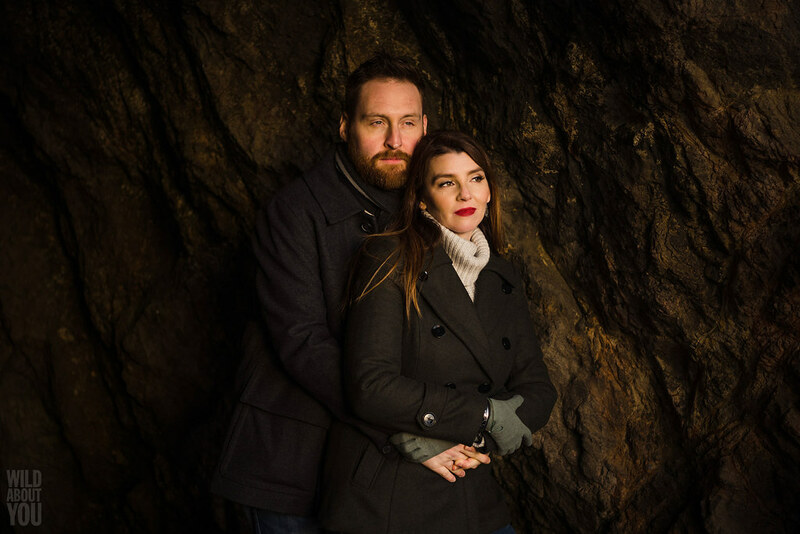 We can’t wait to capture more of them at their wedding!